The program will take place on Thursday, Sept. 20 at the Wee Burn Beach Club, 6 Anchor Road, Rowayton. A cash bar will open at 6:30 p.m., with dinner at 7 p.m. The speaker will follow. 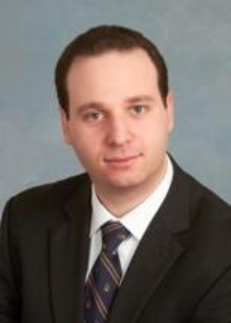 Alex Troyb is an attorney with the law firm Benjamin, Gold and Troyb in Stamford where he advises clients on immigration law and regulations. He serves on the Executive Committee of the Fairfield County Bar Association. He is also a committee co-chair of the Connecticut Chapter of the American Immigration Lawyers Association. He represents clients in state and federal courts. He also regularly represents clients before the U.S Citizenship and Immigration Services and the Board of Immigration Appeals. We are living, Alex points out, in the age of the “30-second sound bite” and it is impossible to discuss the complex topic of immigration in 30 seconds. The tendency to oversimplify the topic has resulted in many misunderstandings about our current immigration laws and regulations. His presentation will separate the facts on immigration from fiction and discuss the problems faced by individuals, families and businesses in coping with our complex immigration system. All are invited to hear Alex Troyb on this very important topic. The cost of the dinner for League members is $45 and for guests $50. Please RSVP by Wednesday, Sept. 12 with a check to Sandy Filmer, 10 Harriet Lane, Darien, CT 06820, or email sandyfilmer@gmail.com. Candidates for the state Senate and House of Representatives, along with a candidate for Darien Board of Education will be speaking Tuesday night, Oct. 30 at a "Candidates' Night" sponsored by the League of Women Voters of Darien.